The British government told Ethiopia on Thursday its treatment of an imprisoned opposition figure, who is also a British national, was unacceptable and that the case risked hurting ties between the two countries. Andargachew Tsige was sentenced to death in 2009 in absentia over his involvement with an opposition political group and another trial handed him life behind bars three years later. He was arrested in Yemen in 2014 and extradited to Ethiopia. 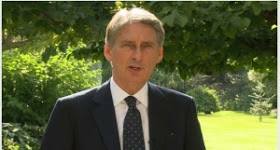 British Foreign Secretary Philip Hammond said on Thursday he had discussed the matter with Tedros Adhanom Ghebreyesus, his Ethiopian counterpart, and delivered a stern message. “I am deeply concerned that, a year after he was first detained, British national Andargachew Tsige remains in solitary confinement in Ethiopia without a legal process to challenge his detention,” Hammond said in a statement after the call. Britain summoned Ethiopia’s chargé d’affaires in August last year to seek assurances that Tsige would not be put to death. Secretary-general of the Ginbot 7 political group, he was among 20 opposition figures and journalists charged with conspiring with rebels, plotting attacks and attempting to topple the government. Hammond said Britain’s ties with Ethiopia were at risk.